Three people killed and fifteen others were injured after a grenade blast at a prayer hall in Rajasansi Village, Amritsar. The incident site is about 8 km away from an airport. 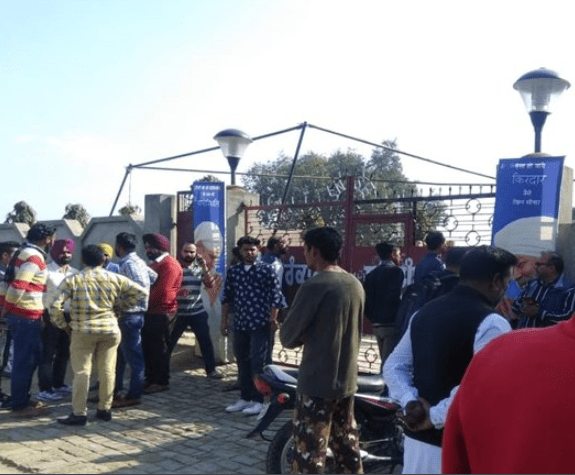 Eyewitness claim two men in a motorcycle threw a grenade at Nirankari Bhawan, a religious centre just in time when a religious ceremony was to begin. The Punjab police and the investigation authorities are treating it as a terror attack. Punjab was already under high alert after intelligence agencies suspected about 7-8 JeM terrorists infiltrated from Pakistan. These men were believed to have been travelling to Delhi. About 250 people were inside the prayer hall when these men turned up. They first threatened with a gun and then swung the explosive. The state and the central administration have rushed to the site. The Chief Minister of Punjab Amarinder Singh has announced ₹5 lakh for the victims and free treatment to the injured. Punjab in the last couple of years had faced heavy militant insurgency sponsored by Pakistan. Gurdaspur and Pathankot attacks in 2015 and 2016 are still afresh among its people.